"Wein's work in this exhibit should reintroduce an American original who deserves to be reassessed as a first-rate sculptor who captured the energy and ideas of his times without compromise or capitulating to public sentiment. The sculptures, paintings and medals seem at home in the nation's largest subscription library, which claims as memebers national luminaries including John Quincy Adams, Daniel Webster, and Herman Melville. The majestic sculptures on display seem as if they belong in the Athens of Pericles or the Coliseum of Rome. Wein's subjects ranged from mythological and religious figures, larger-than-life humans, sculpted tributes to musicaians such as Pablo Casals and even Hall of Fame pitcher Nolan Ryan atop the mound." The exhibition highlighted Wein's mastery of two very different styles, classical and modern. 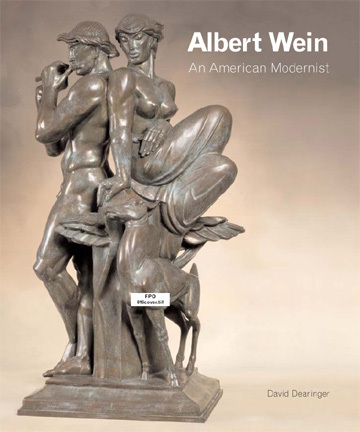 An article about Albert Wein is featured in the October 2008 edition of the American Art Review. The exhibit was accompanied by the first major monograph on the artist's life and work. The book is available for purchase through The Albert Wein Estate by contacting us, or by clicking on the "Buy Now" button below to pay with a credit card. The cost is $55 plus $12 shipping & handling. 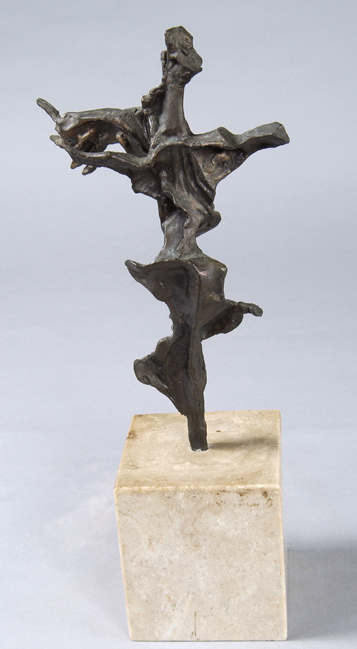 During his lifetime, Wein was a prolific artist creating a number of sculptures and paintings in many mediums. Some of these works remain in situ, many were sold to private collectors, and others remain in the inventory of the Albert Wein Estate. Please see the contact page for more information regarding the availability and pricing of specific works of art.